Many people -- especially older people -- take glucosamine and chondroitin supplements, hoping they may help relieve arthritis. But a new study finds they may do more than that -- the glucosamine may increase pressure in the eye in patients with glaucoma. Glaucoma is a condition in which high pressure in the eye -- intraocular pressure [IOP] -- damages the retinal nerve. It's the most common cause of blindness and typically afflicts older people. In a research letter, Ryan K. Murphy, D.O., M.A., of the University of New England College of Osteopathic Medicine, Biddeford, Maine, and colleagues examined the relationship between the popular supplments and intraocular pressure, reporting their results in JAMA Ophthalmology. The results: glaucoma patients' intraocular pressure went up "significantly" when they started using glucosamine and decreased when they stopped. “Many questions are raised by glucosamine supplementation-associated IOP changes. This study shows a reversible effect of those changes, which is reassuring. 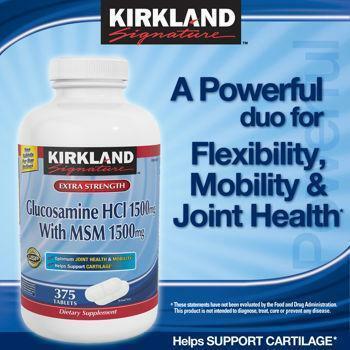 However, the possibility that permanent damage can result from prolonged use of glucosamine supplementation is not eliminated,” the authors conclude. Older consumers and anyone with a history of elevated intraocular pressure should talk to their ophthalmologist before using glucosamine supplements.